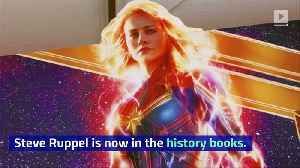 Brie Larson plays Captain Marvel aka Carol Danvers in the Avengers Franchise. Her standalone movie released on 8th March this year. Her entry has stoked the fandoms to a sky-high level. 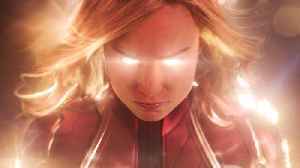 ▶ Videos for "Captain Marvel"
The first screenings for Avengers: Endgame are beginning around the world. 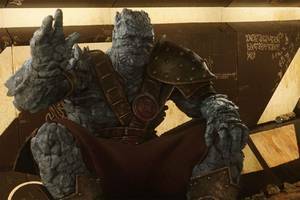 ComicBook.com reports that fans of the Marvel Cinematic Universe have spent the last few weeks rewatching the first 21 films.. Unable to play video. 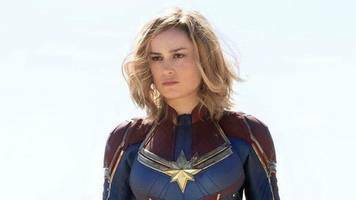 Captain Marvel has already joined the $1 billion Marvel movie club, but thanks to the hero reappearing in Avengers: Endgame the so film got a boost at the box office That's rather.. 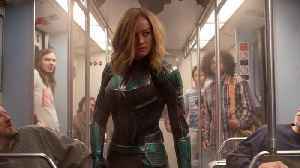 The "Avengers: Endgame" stars Brie Larson and Scarlett Johansson appeared on "The Ellen DeGeneres Show". 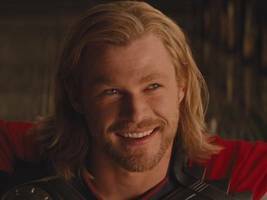 The two talented Marvel stars talked to Ellen about when they first met each other. Business..
Hopefully no one tries to beat that record. 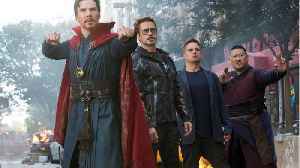 According to Reuters.com, "Robert Downey Jr., Chris Hemsworth and other members of the Avengers superhero team on Monday celebrated the final chapter in a 22-movie saga that ranks as the movie.. 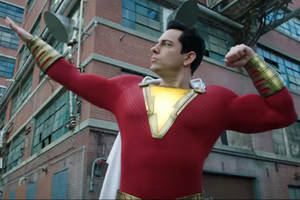 I really enjoyed Captain Marvel. But I don’t know that I could enjoy it 116 times. Wisconsin chiropractor Steve Ruppel has unofficially broken a Guinness World Record by watching the Brie Larson-led..
Thematically, if there has been one theme which has consistently dominated the MCU, it is the presence of an outsider as a character. 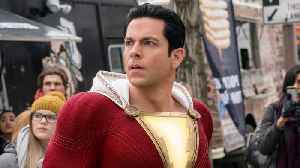 Jackson Bostwick was only 30 years old when he slipped into these shocking spandex and took on the role of the superhero Captain Marvel -- opposite Michael Gray as the young boy Billy Batson -- on..
As the Marvel Avenger Endgame premieres in movie theaters this week, Israeli researchers are revealing that exposure to Spiderman and Antman movie excerpts decreases symptoms of spider and ant phobias,.. 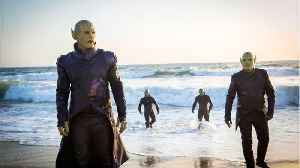 The approximately 63 million cast members of Avengers: Endgame attended the film's premiere in Los Angeles wearing outfits that were simply too good for the gathered nerds. Scroll for the best looks,.. Some movies give us what we want, while others give us what we need. Claire Denis’ “High Life,” for instance, is an intense, tough viewing experience, but it offers important ideas about..
Steve Ruppel has set a Guinness Record for watching the movie Captain Marvel 116 times since it premiered in March. 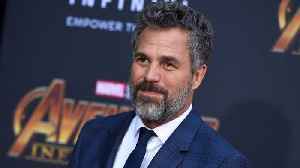 Read more... More about Entertainment, Movies, Mashable Video, Marvel, and Marvel..
· "Avengers: Endgame" is expected to shatter box-office records when it opens this weekend. 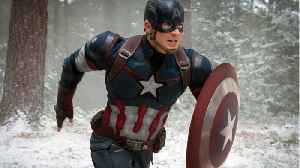 · We ranked the other 21 Marvel Cinematic Universe movies by how much they made worldwide. "Avengers:.. Using advanced new de-aging technology, Will Smith goes face to face with his greatest enemy in the first trailer for “Gemini Man” — himself. 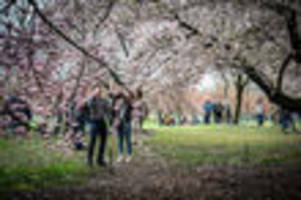 In Ang Lee’s futuristic thriller, Smith plays a.. 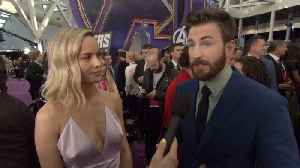 The premiere of one of the biggest movie (if not the biggest) of 2019, Avengers: Endgame, is officially underway and the stars have begun to arrive on the purple carpet in Los Angles. 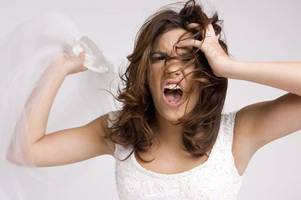 …read more.. 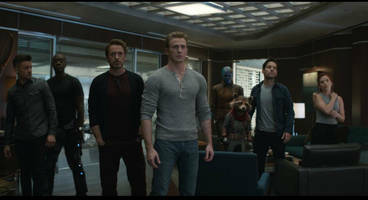 Most of us have to wait until “Avengers: Endgame” hits theaters Thursday night to find out how Earth’s Mightiest Heroes bounce back from Thanos’ finger-snap in “Infinity War,” but not the..
Avengers: Endgame is the 22nd film from the Marvel Cinematic Universe, the latest after Captain Marvel, which released last month. 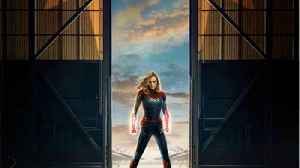 The film stars Robert Downey Jr., Chris Evans, Mark Ruffalo, Chris..
Brie Larson’s casting as Captain Marvel, “the strongest superhero in the Marvel Cinematic Universe”, has made her a target of online negativity. 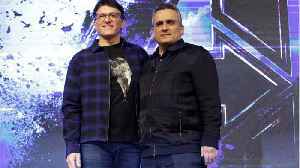 …read more Source:: NEWS 18 The..
Avengers: Endgame is the 22nd film from the Marvel Cinematic Universe, the latest after Captain Marvel, which released last month. 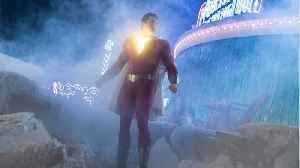 With the release of Iron Man, and the beginning of the MCU, the superhero movie as a genre began to receive an overhaul. 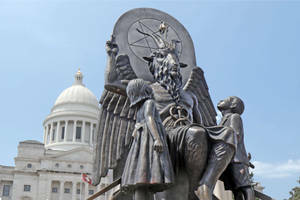 Sundance darling documentary “Hail Satan?” was released just in time for Easter weekend, and it was able to avoid box-office damnation. Magnolia released Penny Lane’s documentary at the IFC.. 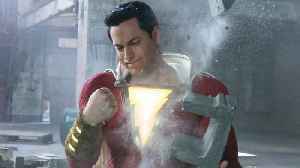 The summer superhero movie season is about to get started in earnest with “Avengers: Endgame,” “X-Men: Dark Phoenix,” and “Spider-Man: Far From Home,” but first we’ve got “Shazam”..
Steve Ruppel's viewing time of Captain Marvel now essentially stands at a little below 242 hours. By Viraj Mahajan Avengers: Endgame is slated to release on April 26 worldwide. 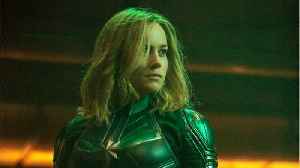 …read more Source:: IBTimes The post Captain Marvel shouldn’t be the one to kill Thanos in Avengers:.. 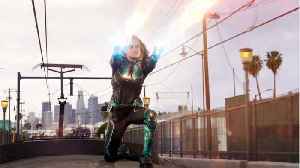 Ahead of Avengers: Endgame, we watched all 21 MCU films from Iron Man to Captain Marvel - to recap on all the things we missed and loved about Phase 3 of Marvel Cinematic Universe. In the return of the movie-with-dinner series, Seattle Times food writer Bethany Jean Clement and film critic Moira Macdonald taste-test the new "Enhanced" menu and "Jartails" at Seattle's Regal..
Twitter is gearing up for Avengers: Endgame with 40 new emoji that celebrate almost every single Marvel Cinematic Universe hero — even those who were snapped away by Thanos. Marvel Studios..
· Director Patty Jenkins is one of Business Insider's "100 people transforming business." 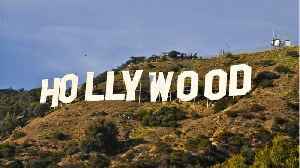 · She was the first woman to direct a $100-million movie with "Wonder Woman." · Jenkins talked to Business..